3 tips to look slim in a sari without dieting. One of the reasons a lot of people seem to avoid saris is because they believe it makes them look fat. I beg to differ. Over the past 8 months I have continuously gained weight and the humble 6 yards is the one piece of clothing that seems to be covering up all the lumps of adipose tissue. There are however a few pointers to keep in mind to ensure that you don't show off the unnecessary flab. 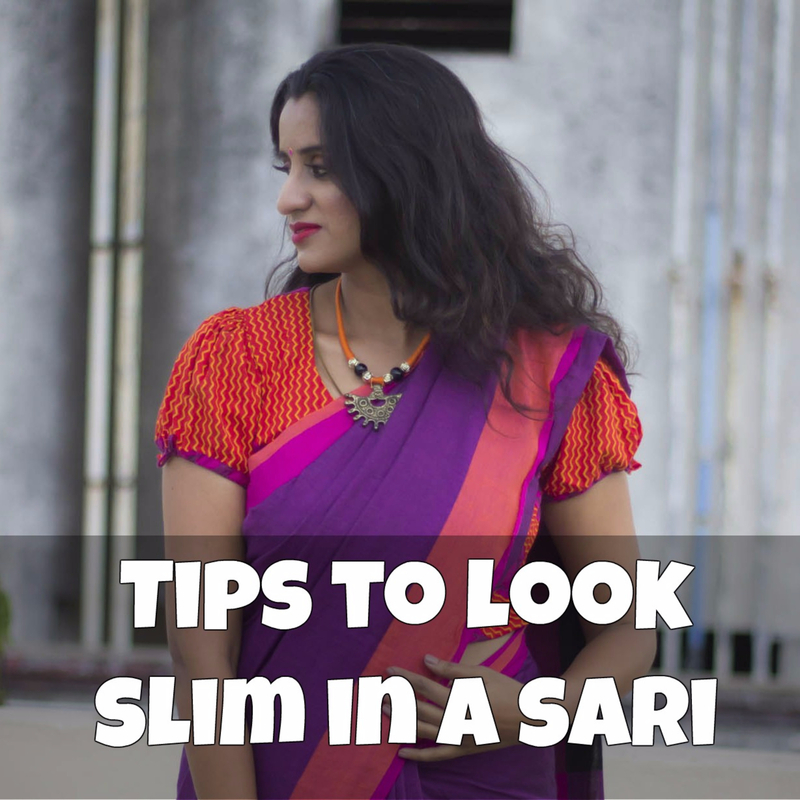 So lets take a look at a few ways to look slim in a sari. 1) To cover the arms. I noticed that I have gained a lot of weight on the arms. There is some major toning that is required and this is one reason why I have stopped wearing sleeveless. I just do not like the way I look in it any more. Cap sleeves will highlight the arms even more, so I avoid those as well. Wearing a full sleeve or a three- fourth sleeve can make the arm look slim,but lets face it, that is not an option in the humidity of Chennai. Regular short sleeves just seem to tell everyone that I have gained weight. The solution- Puff sleeves. I know you might think that puff sleeves bring more attention to your arms, but if kept at the right length and slightly loose, it will cut the girth of the arm and make it look like the arm is tapering. You might also think that puff sleeves are outdated or for youngsters, and you could not be more wrong. Agreed that puff sleeves can give a bit of a retro look, but the extent of the puff the matters. Don't go for a very exaggerated puff if you are going to be wearing the blouse for a more every day look. Add a piping to draw attention to the end of the sleeve and here we even added a small tie up for some drama on the orange blouse. I find that puff sleeves works well on women of all ages and have seen my mature colleagues at school carry it off with grace. 2) To cover the love handles. This is definitely the hardest to cover up in a sari. One aspect is of course the material of the sari, which I will talk about in another post. However there are certain things you can do with your blouse. The Solution- increase the length of the body of the blouse. 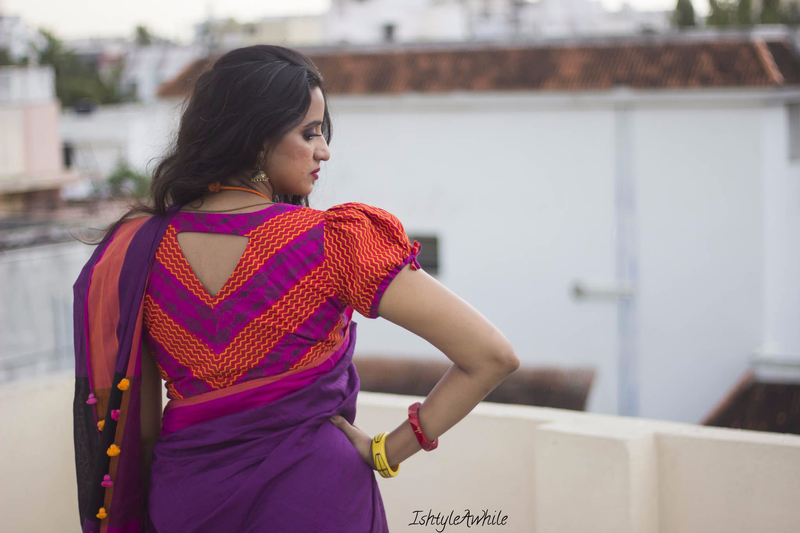 Usually sari blouses stop just below the chest, somewhere around mid way of the rib cage which actually accentuate the weight accumulation around the stomach and the sides. Increase the length of the blouse to the end of the rib cage, probably an inch or so above the belly button. This will make it look like your torso is longer. 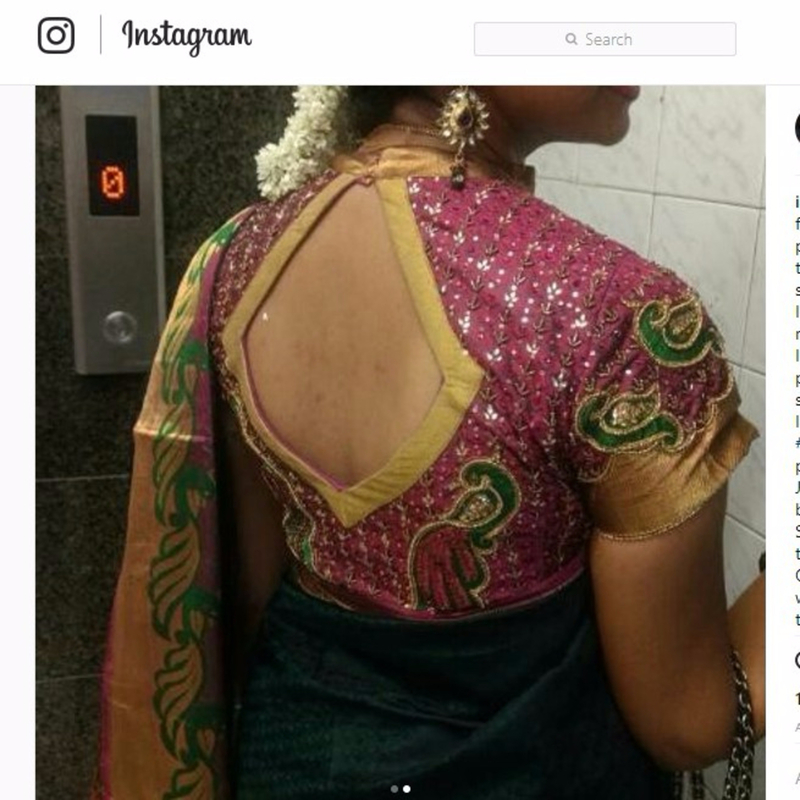 Ensure to tie the sari just on the belly button and not way below it, so that the gap between the sari and the sari and the end of the blouse is small enough just for some very subtle skin show. Another important thing is to have a peplum sort of a cut at the point where the blouse ends rather than a rigid tight end. This should be flared enough to cover the love handles but tight enough to not make it look shabby. 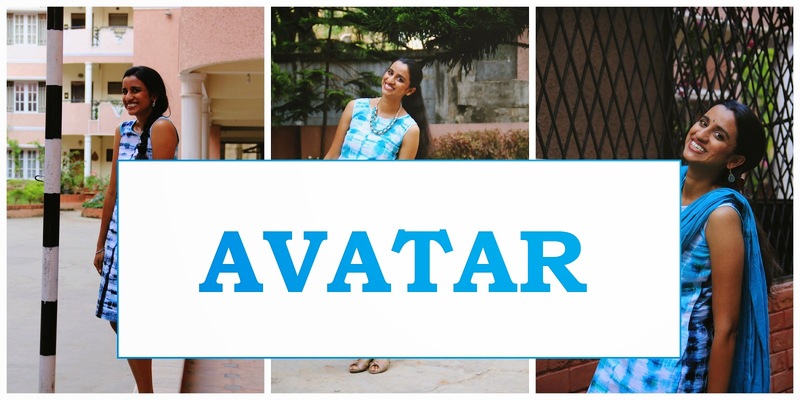 (This is why you need a fabulous designer like Manjeri). I have been opting for this blouse design for a while now and I love how it has been working for me. Another great way to draw the eye away from your problematic areas is by having distractions. Opt for embroidery on the back of the blouse towards the neckline, or better, go for a cut-out like I have done here. This creates attention towards the neck rather than the hip. The cut out can be as big as you want, but remember that if you make it a really low back, then again their eyes will be drawn towards the hip and you don't want that. If a cut out is not in your comfort level, then go for buttons on the back. This again is a great distraction and it adds a very elegant touch. If you are heavy chested, do not go for padded blouses, as this will draw attention to the bust area. Also personally I have found that only blouses with front hooks work for me and back hooks just don't work for me. 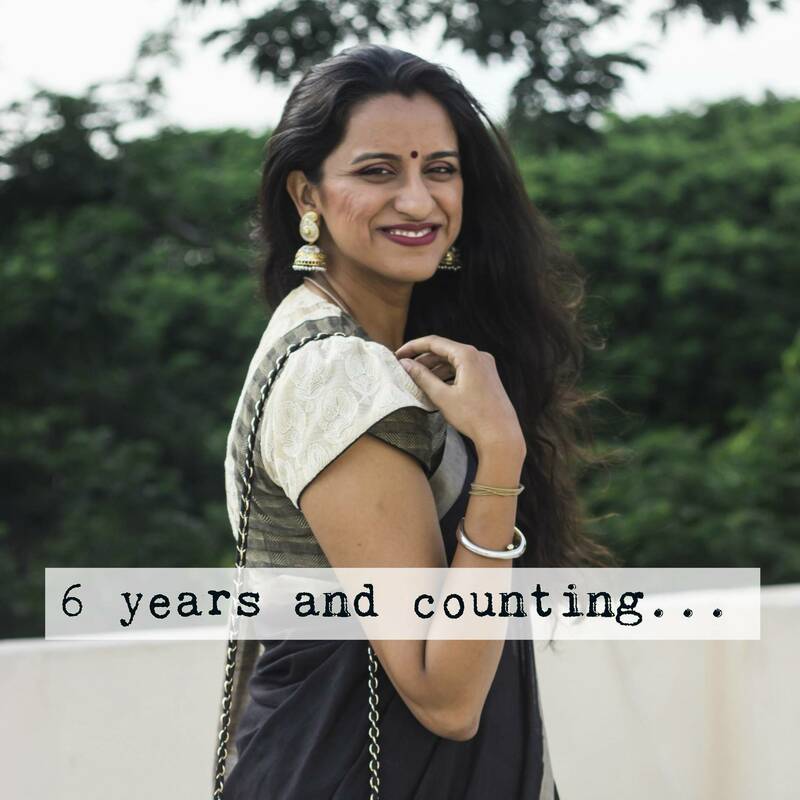 So those are some of my tips to looking slimmer in a sari. I want to mention that these are just a few ways to adjust the styling, but please make sure that you are healthy and not looking for ways to cover a deeper problem with your clothing. For more articles like this make sure to stay subscribed to IshtyleAwhile by clicking here. Follow me on Instagram, Facebook and Twitter. Also if you are in Chennai and interested to get styled by me in one of Manjeri's creations and get a makeover by Anitha, then click here. We have an event coming up this weekend and can't wait to see you there.